Sometimes being a homeowner can feel like such a drag. The furnace fails, guess who’s on the hook. And when the walk needs to be shoveled, the lawn needs to be mowed, or the caulking around the shower starts to brown and peel? Yep, my problems, no one else’s. And then there are times when I’m reminded that having a house and a yard to call my own are major blessings. This sort of thing is usually pretty easy to recognize on a mid-summer day when I realize I’ve got a tree full ripe cherries and I’m no choice but to make an impromptu dessert on a Tuesday. Ah, the importance of perspective. So for my impromptu weekday dessert, I chose to make clafoutis. 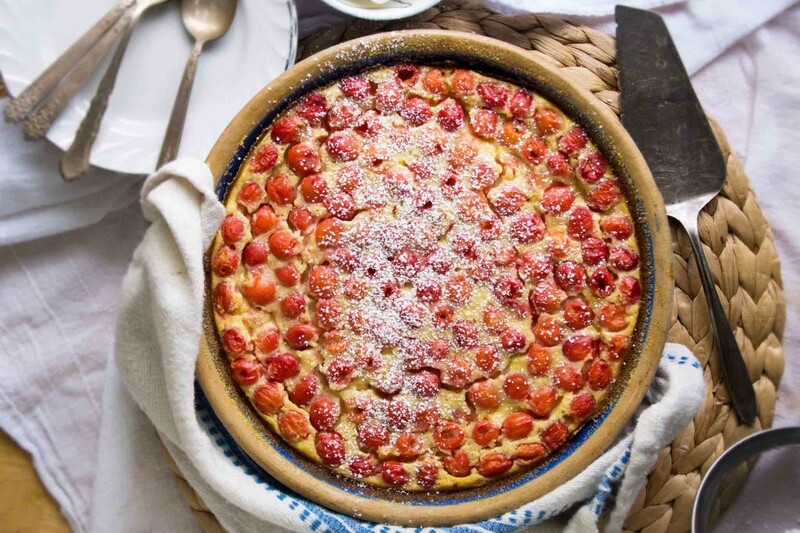 Clafoutis (or clafouti…) is a dessert with a fancy French name that couldn’t be simpler to make or more delicious to eat. 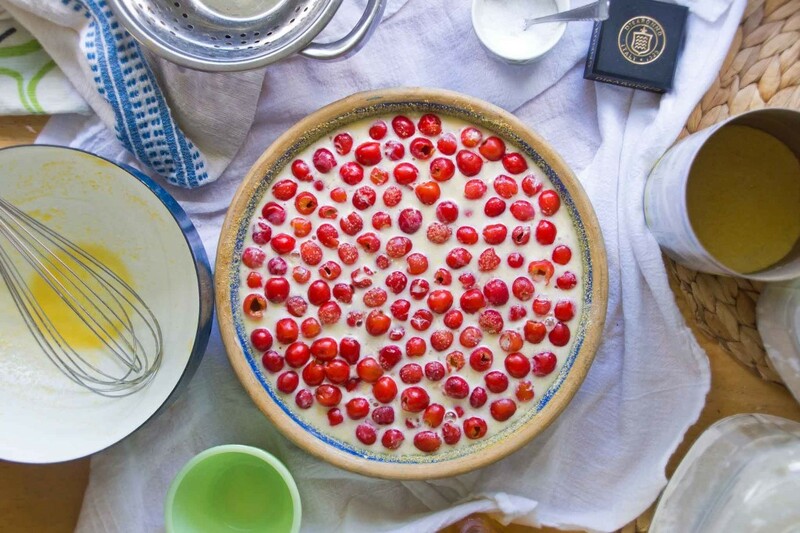 It’s a custardy little cake baked in a pie pan, packed full of cherries. I snuck a bit of cornmeal into mine and a splash of amaretto to bring out the flavor of the cherries. The only laborious part of making the clafoutis is pitting all of the cherries. I’ve been told that the French leave the pits in, as they release an almond-y flavor as the dessert bakes. Though the ease of it sounds appealing, I chose to not put the unsuspecting eaters of this dessert at risk and pulled out the pits using a paper clip. 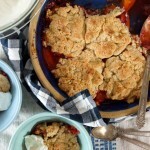 Once the cherries have been pitted, just toss them in a buttered and cornmeal-ed pie plate and whisk up the batter–just a few eggs with milk and a touch of amaretto (I figure this makes up for any flavor lost by pitting the cherries! ), sugar, flour, and cornmeal. Pour the batter over the cherries and pop it in the oven. 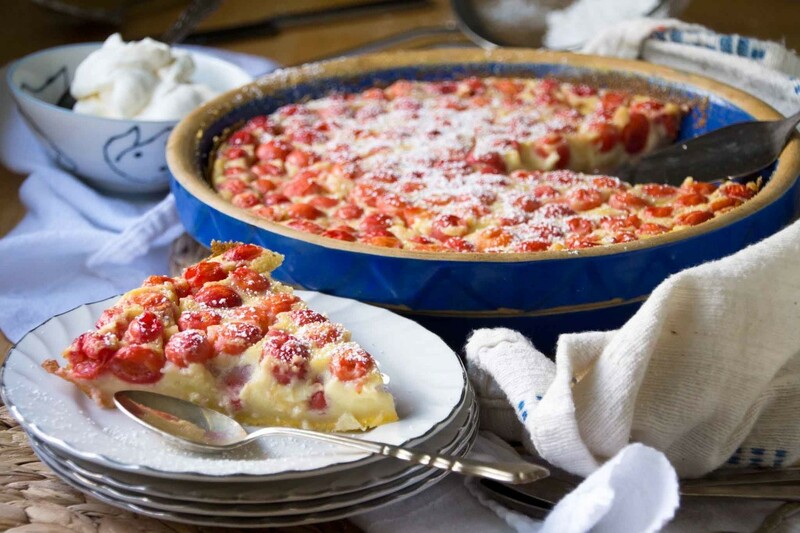 The clafoutis is at its best served just a little bit warm with a dollop of whipped cream and a sprinkle of powdered sugar. 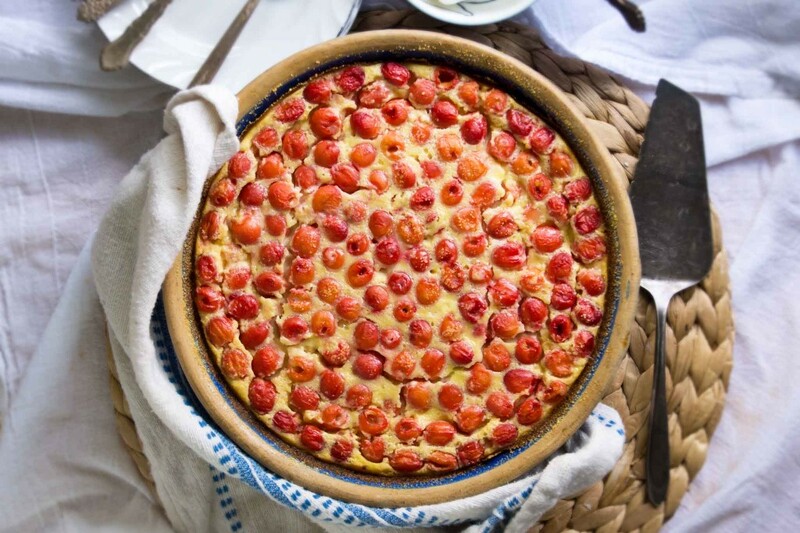 It’s custardy and comforting, with a delicate crust formed by the cornmeal, and completely alive with the tart flavor of summer’s cherries. It’s the perfect for dessert to follow a casual weeknight dinner and the sweetness is subtle enough that eating a leftover wedge with your coffee the next mornings absolutely justifiable. 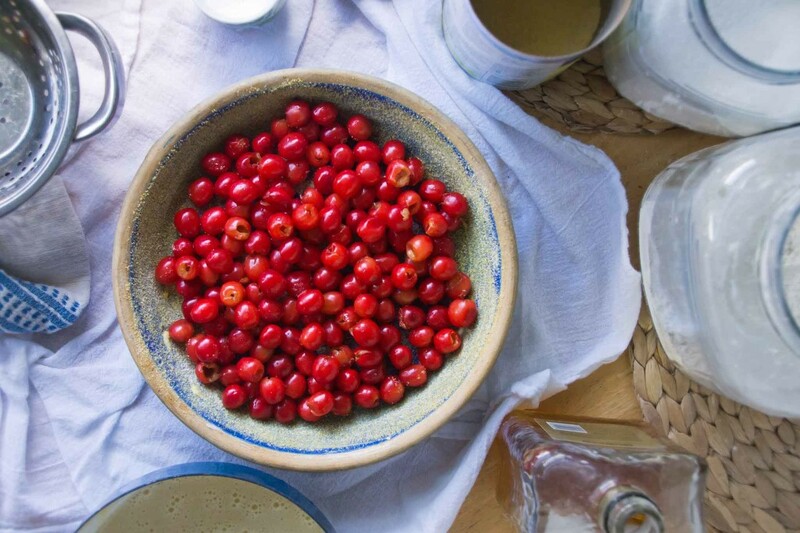 This simple dessert is a great way to showcase fresh cherries. The fruit is surrounded by a lightly sweet custard and the cornmeal forms a delicate crust. Serve warm with amaretto-spiked whipped cream or a scoop of vanilla ice cream. Preheat oven to 375°. Butter a pie pan and shake a Tbsp. or so of cornmeal around the pan to coat. In a medium bowl, whisk together the flour, cornmeal, sugar, and salt. In a second bowl, whisk the eggs until foamy. Beat in the milk and amaretto (or almond extract). Slowly whisk the egg mixture into the dry ingredients, stirring until the mixture is lump-free. Place the cherries in the prepared pan and pour the batter over it. 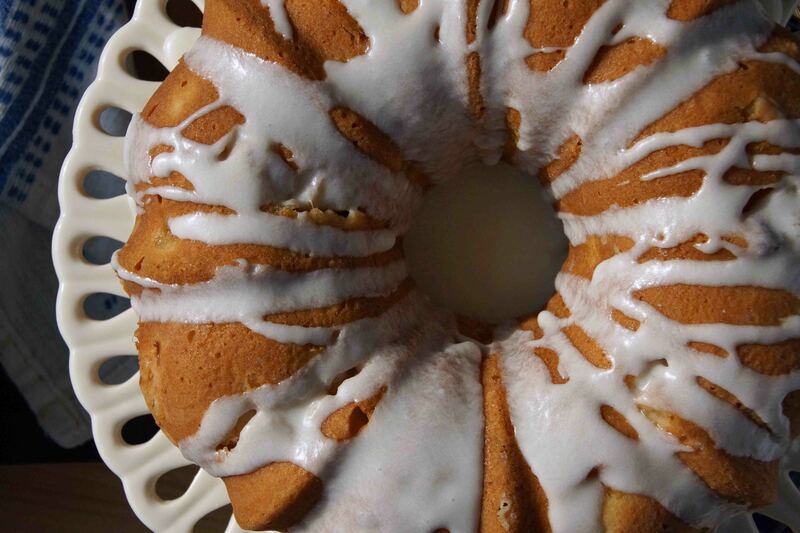 Bake for 40-45 minutes until a tester inserted in the center comes out clean. 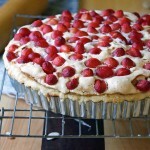 Allow to cool slightly, then sprinkle with powdered sugar, cut into wedges, and serve with whipped cream or ice cream. OOHHHH, does this look good! Almost as good as the cherry pie you brought over which I’m craving right now! Bummer! Mine actually yielded more than it ever has before, despite the harsh winter. 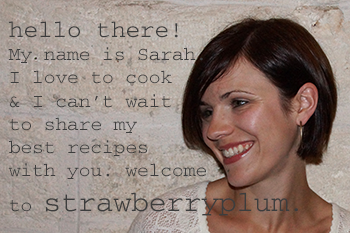 I had enough to make the clafoutis, plus a pie a few days later and also a few jars of boozy preserved cherries.